Richard Jacques Does Sega Remixes for SAASRT. Check Out Some Soundtrack Samples! Richard Jacques is back with Sega again and remixing some of their classic game music with a modern twist. Now, it’s not just the vehicles that transform, it’s the music! In a new preview from Destructoid, Steve Lycett showed off some soundtrack samples from the upcoming game and it’s looking pretty dang sweet. Richard Jacques had this to say. You are not going to believe some of the music we’ve managed to get into the game and I am sure the fans will agree this is without doubt, the best soundtrack we’ve included in an All-Stars game to date! Sega, PLEASE put this on iTunes! Don’t make me beg. Check out two more tracks in the comment section. Man, that music… I really want to hear Starlight Carnival’s music now. Sorry folks, while I have links, the original embed code is not working for me for some reason. I think each site’s WordPress has to be configured to accept it. Ehh, not feeling the Outrun dubstep. At least it’s not full-out dubstep. Analogy of the day: Dubstep is like cinnamon. It’s good as a background flavor, but have you ever tried to swallow just plain cinnamon? It doesn’t work. Y’know the strange thing was I thought he was complaining about the odd dubstep beats at the start which sounds so out of place..but maaaan when it goes heavy it hits hard..that part sounds way better to me..the odd beats make the first version lose its retro flavour..it did have some retroness to it but the modern beats totally make it lose that old touch. I loved Richard Jaques’s remix in Generations. (Especially “Supporting Me…”…. So good.) And I cant wait to hear what comes out of Transformed! I want to more cool music like this! Hell yeah! Sounds amazing and loving the dubstep taste in Outrun! What a delicious pre-order bonus I just got, I’m glad I pre ordered now! and perfect music style for Metal Sonic! This game will pwn! I love you Richard Jacques! you’re the man! Man that outrun remix! I love these remixes! Hearing these makes me want to know what he has for Starlight Carnival and the After Burner stage. The Wilderness’ remix was too awesome. THAT’S how you fanservice. I’d love to make a temporary full-version for people until they release the soundtrack on iTunes. I wasn’t even considering buying this game since I never finish racing games (albiet, I haven’t finished a lot of games because of time constraints) but Richard Jacques? Hmmm…I may just buy it for the music. 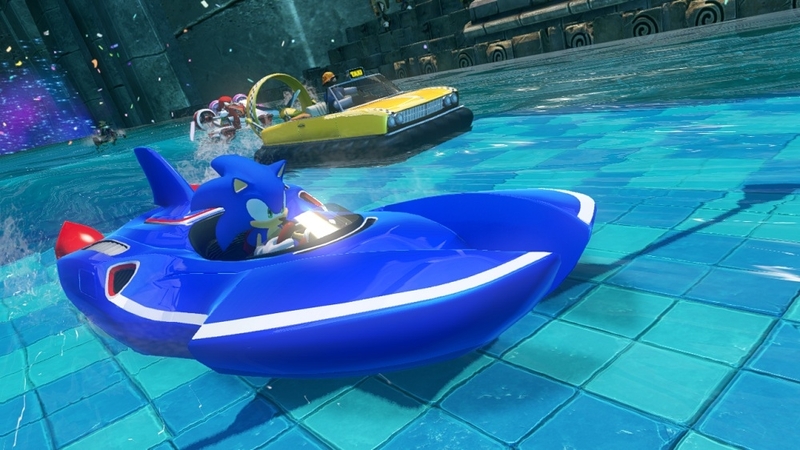 Hey does that mean we get a Sonic R race track? New remixes of the Sonic R soundtrack would sell me on this FOR SURE.